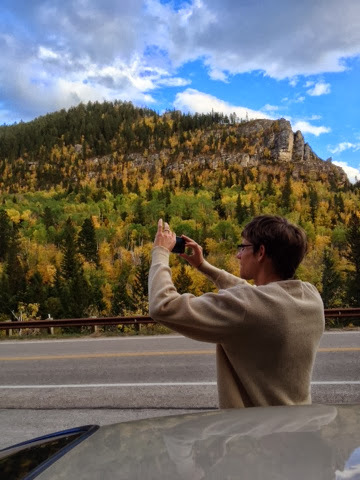 This fall, before the big big winterstorm, the hubs & I took a drive through the Black Hill in the beautiful Spearfish Canyon. This drive is beautiful any season of the year, but I particularly love it in the fall. The trees are so many shads of yellow, orange, and green... it takes my breath away! We took lots of pictures on our phones, so they are not the best quality, but the scenery is breathtaking to mater how many megapixels the camera has. 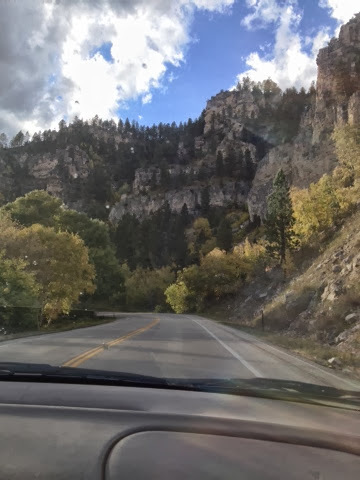 If you are ever in the area, make sure you take a drive through Spearfish Canyon, you won't regret it! 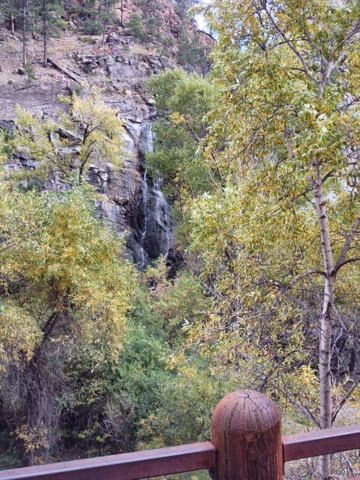 There are so many great hikes, trails, and waterfalls. 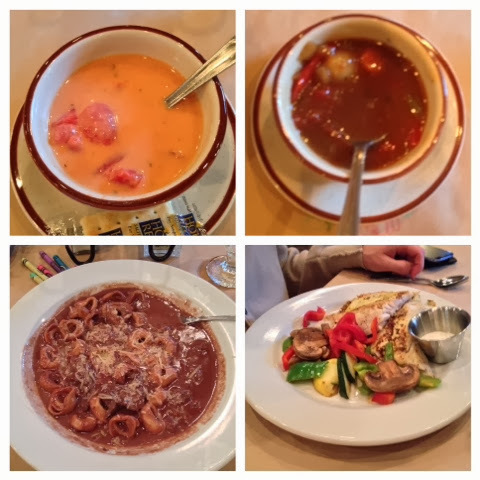 We even stopped at a lodge and ate supper. 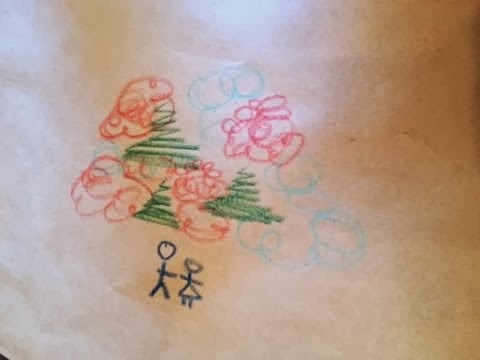 It was very lovely and a great way to spend date night with the hubs. 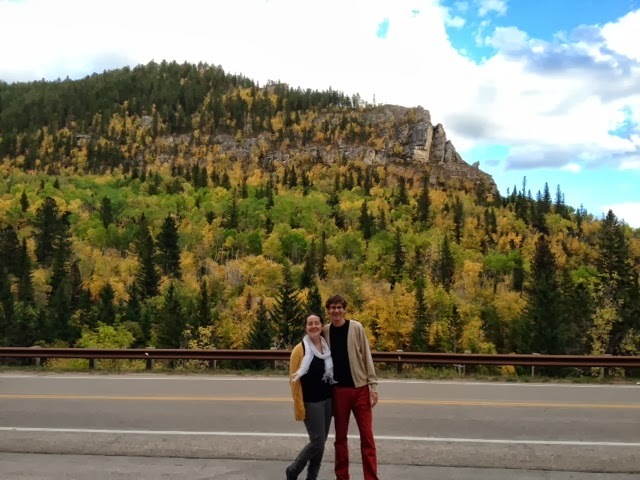 Two lovers in love with fall in the Hills. Wow, these photos are super magical! 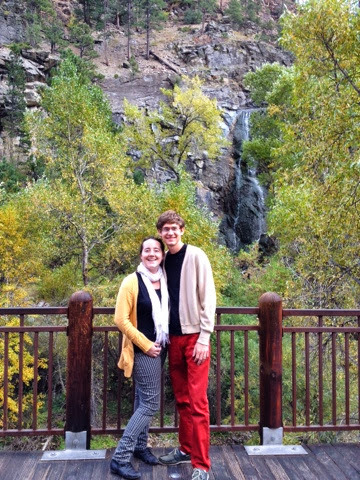 I love Spearfish Canyon too!